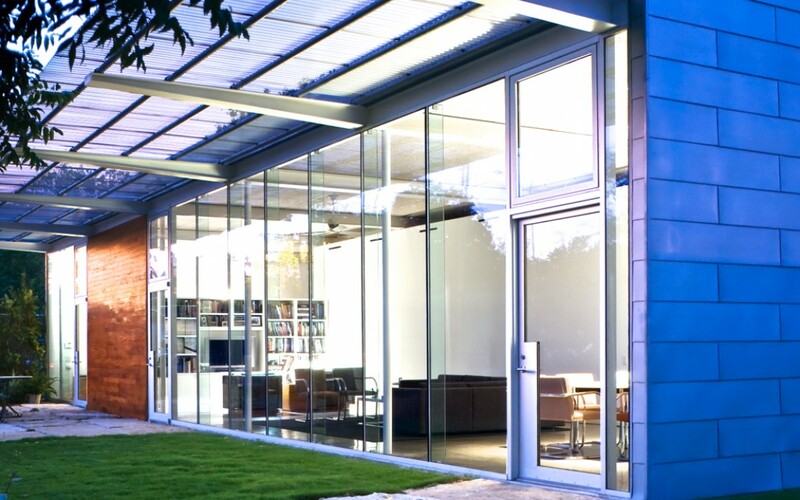 Once in a lifetime opportunity to purchase an AIA award-winning modern home from an AIA award- winning architect. 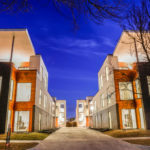 Ron Wommack has consistently received AIA awards for his projects and residences transforming and elevating architecture in Dallas and other cities. Ron Wommack put his heart and soul into his own personal residence located at 2401 Douglas, designing and building it from the ground up. 2401 Douglas represents the culmination of Ron’s well-honed talent and passion for architecture. Ron Wommack received an Honor award in 2008 and Best of Show award in 2008 for 2401 Douglas. 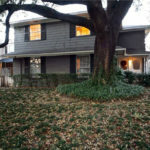 Jerome Weeks also recognized the home in a review titled “Elsewhere, Texas. 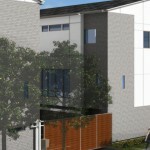 2401 Douglas is an innovative sustainable home for anyone who wants to simplify and streamline his or her lifestyle. No more stairs, no more elevators, minimal maintenance. 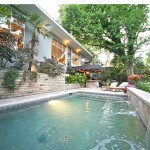 The home sits on a hill with amazing views of downtown Dallas. You enter the home through gated courtyard set behind a privacy wall and mature landscaping creating a tranquil garden around the home. The home is constructed with 6” concrete structural slab floors on top of 6” carton forms on piers, modified bitumen roof, exposed structural steal framing. The exterior of the home consists of commercial glass, Rheinzink (copper/zinc) and African mahogany. Hardie plank was used on the exterior of the garage. The interior is very open with 11’ 6” ceilings, exposed steel framing, Tectum acoustical ceiling panels, and walls of floor to ceiling commercial windows and glass doors wrap around the home. There are polished concrete floors throughout the home and museum finish walls. Other interior features include tankless hot water, Mecho window shades, bookshelves and ceiling fans. The large pane windows have glass center mullions designed by Ron that create wonderful light prisms and rainbow effects throughout the day. An exterior metal perforated sunscreen runs along the roofline of the home providing the perfect amount of shade. There are wonderful clerestory windows that span the length of the home and are the perfect balance to the glass walls. There are views of the garden that surrounds the home from every room. The garden has large limestone pavers creating two separate patio areas connected by limestone stepping-stones that lead from the home to the garage. One patio is shaded with mature bamboo creating a bird sanctuary. The other patio in the front of the home is sunny and bright. The kitchen features a large center island, stainless steel counters with double integral sinks, Jenn-Air gas range, Asko dishwasher. The kitchen is very open to the living and dining room and has easy access to the front patio for outdoor grilling. 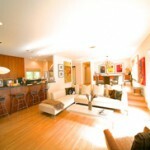 The living area is oversized and has the flexibility of creating a second bedroom or study. The master has lots of light and a glass door leading to the patio. The master bath has floating vanity, clerestory windows above the sink, and separate oversized shower. There is a huge walk in master closet with extra storage. The stack washer and dryer it conveniently located just outside the master closet. The oversized garage measuring approximately 27 x 27 is detached but has safe direct access to the home through the gated courtyard. The garage has extra storage shelves and is large enough for two vehicles plus any motorcycles or other equipment. The garage was designed and framed to support a second story and has the plumbing and electrical already roughed in. There are clerestory windows in the garage along the east wall consistent with the home design. Architectural plans are complete for a second story studio above the garage with amazing views of downtown. The plans are available for viewing and can be purchased with the home.